Drug license renewals in Arizona. Application for medical license in Nevada. Application for medical license in Kentucky. Application for medical license in Alabama. Profile for medical license in Nevada. Profile for medical license in Kentucky. Profile for medical license in California. Profile for medical license in Alabama. 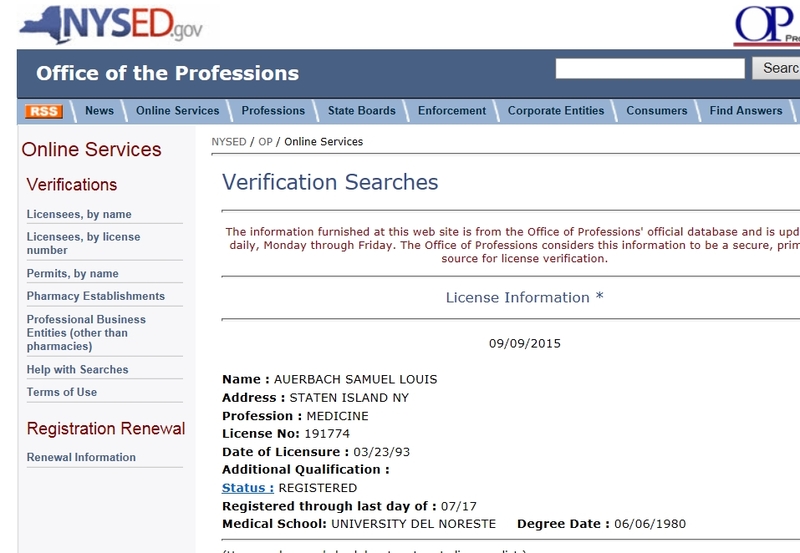 Business license revoked for Samuel Auerbach. 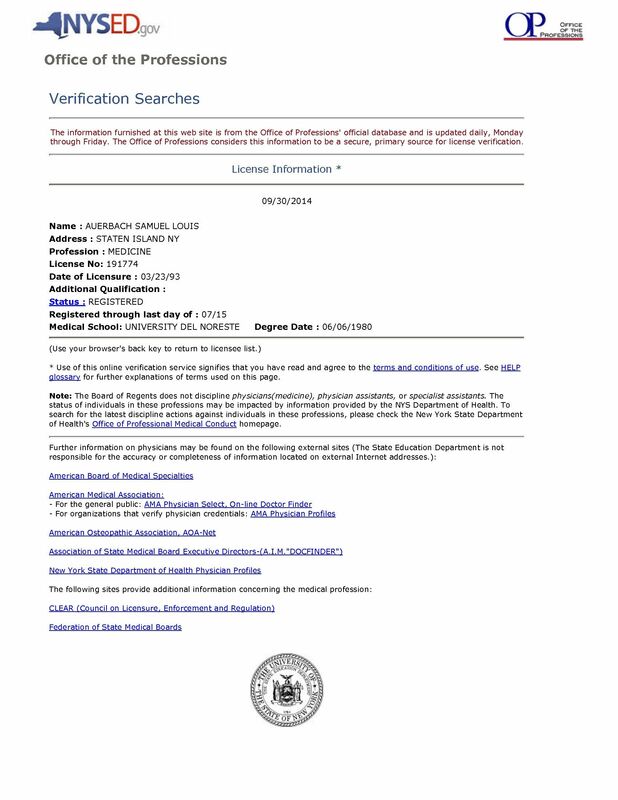 Filed 3-6-2007.
Business license revoked for Samuel Auerbach. Filed 6-6-2007.